Lithium-Ion, holding EVs back or driving their future? Since the Paris Agreement, EVs have been viewed as a catalyst for change by all major countries. A low-hanging policy fruit for hastily-made proclamations, sometimes with, but more often without any regard for existing ecosystems in place. The result has led to many industries being thrown into a new paradigm, better for some as with emerging blockchain technologies, but the same cannot be said for all. The question is not a simple ‘who-what-when’ but also a forgotten ‘where’ as these established value chains tend to be regional or even country-specific, much like their power grids which provide electricity to factories, buildings, homes, and now cars. A major component of EVs which many consider as a major bottleneck to adoption, is the battery. Batteries themselves are not new and Lithium Ion has been mass produced since the early 90s. As such its value chain is large and complex, often evolved from vertically integrated operations where everything from material to the UI on electronic devices were produced by the same company. 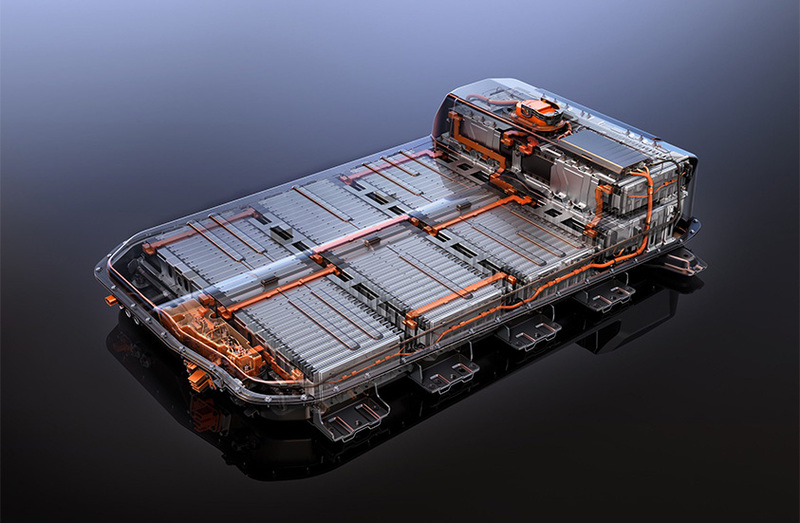 Within the realm of battery cells, particularly for EV applications, this industry has rapidly evolved into a stand-alone sector. Business models of these companies rapidly evolving, at the behest of their Automotive OEM customers. From a battery cell lens, not all EVs are created equal and it is important to differentiate PHEVs from BEVs. This is imperative when discussing battery cell technologies as they differ extensively when they are the only source of energy in a vehicle. That being said, BEVs are where the technologies are being showcased. Within that realm, nickel-metal hydride (NiMH) which once powered GM’s EV1, has long been displaced by Lithium-Ion chemistries. Five types of lithium-ion (Li-ion) cells are used in the latest generation of EVs: Lithium cobalt oxide (LCO), Lithium iron phosphate (LFP), Lithium manganese oxide (LMO), Nickel cobalt aluminum oxide (NCA), and Nickel manganese cobalt (NMC). The main difference between these technologies lies in the materials used in the cathode; however, more subtle differences in the anode exist between suppliers. Of these cell technologies mentioned, LCO’s last remaining bastion for this technology, China via its Automotive OEM users like BAIC, BYD, and SAIC have all but moved on from the technology. These companies are now using a blend of LFP and something called a ternary battery. Ternary, as the reference would indicated is a blend of LMO, NCA, and NMC technologies. So why is everyone leaving LCO? It is mainly due to the price of cobalt which has skyrocketed since the middle of 2016, this year reaching over $80,000 per metric ton. According to the USGS, nearly all cobalt is mined as a byproduct of other, more abundant metals, such as nickel or copper, means that production is driven primarily by the markets for the principal metals, not by the need for cobalt. Only sustained demand will get the big mining companies to move and they finally have started to move with many mining operating geared towards expansion of cobalt production by 2019. This new capacity may be too late for LCO as blend takes close to a kilogram per kWh of energy produced, it is the most dependent on cobalt and therefore the first to go. If one were to draw parallels to the solar industry, one example comes to mind around the solar cell (different from battery cell) where in 2011 the price of silver paste skyrocketed. Industry participants quickly came up with ways to reduce silver or even use copper as a replacement within 24 months, a similar time to what’s been seen in EVs. What is important for the cell value chain is not only the materials being used but the enclosures around them. Li-ion cells are currently produced in three form factors: cylindrical, prismatic (think of a rectangular box), and pouch. The first two are rigid in nature while the third, as name would suggest, allows for expansion which occurs in all other batteries as well. In PTR’s recently published EV Impact Report, 13 Automotive OEMs and their battery form factor of choice were analyzed, indicating a tight battle between prismatic and pouch form factors. Prismatic currently has the lead but PTR found the pouch format to be of particular interest when considering the newest NCM 811 blend has garnered attention from the likes of LG Chem and SK Innovation. For those following the battery cell market, since 2014 there has been significant overcapacity. During that year, it was noted as a range of 9-36% utilization by major manufacturing country, with China having the lowest and Japan at the top of that scale. Since that time, the conditions have improved on average, but only slightly and expect the trend to continue through 2019 with major capacity expansion projects from established and new manufacturers on the way. So with overcapacity, it is obvious batteries are not the bottleneck, right? Wrong. Despite plenty of capacity at cell production, not all technology blends are accepted by automotive OEMs who often decide on different blends for each vehicle, even from one year to the next. A lack of data collected on EVs in operation for many years is to play a role; however when looking at the short-term a bigger issue exists, downstream. The biggest bottleneck is currently at the battery module and vehicle integration segments of battery production. There is limited capacity to connect these batter cells together, and integrate a battery management system (BMS) to them, an issue even Tesla has struggled with recently. These processes are still coming up to speed and will require additional capital expenditure in automation to catch up with to the battery cells. Assuming integrated battery manufactures and Automotive OEMs prioritize spending in this segment, this issue should be resolved in the next 18-24 months. Long-term is a different story as current battery technologies will not reach the ambitious energy density targets of over 300Wh/kg by 2025, nearly twice as high as the current mass produced cells. Despite rhetoric about a multitude of materials around the cathode, anode, and electrolyte; only a few technologies will be implemented in the next decade. Within this 10 year window, disruptive technologies will likely take a back seat, especially true when one considers those recent capital expenditures and required ROIs. As such, two technologies stand out from the rest, both are solutions to improve the anode of the battery. These are lithium titanate (LTO) and Silicon (Si). These technologies are not yet widely used; however, are more incremental than disruptive technologies, easier to implement. The companies leading these anode technology developments should receive more interest as cathode improvements see diminishing returns. Expect these two solutions to penetrate the market at an accelerated pace through 2025, helping drive energy density improvements to hit that ambitious target. Download the abstract for detailed ToC.